The failure of the dollar peg to prevent the Asian currency crisis of 1997 to 1998 has highlighted the importance of the exchange rate regime in Asia and provoked much discussion as to what the alternatives are in terms of exchange rate systems. Bringing together extensive research on Asian basket currencies in one volume, this new text discusses whether a currency basket system is the answer, striking a balance between the theoretical and empirical. With strong policy implications for East Asia, the impressive team of contributors argue that for countries that have close economic relationships with several currency areas, it is well worth considering a currency basket system. The book also pursues the important idea of coordination failure, whereby if each individual country tries to adopt an optimal exchange rate given other neighbouring countries' policies, they may collectively fail to reach a region's optimal exchange rate regime. 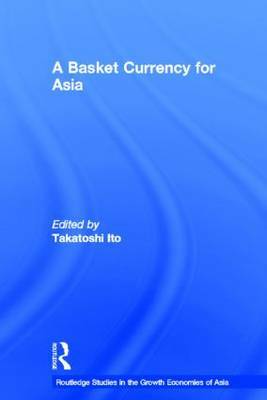 A Basket Currency for Asia is a topical and significant text that will appeal to students and scholars of international finance and Asian economics.